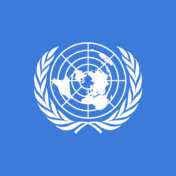 The UN Committee on the Rights of Persons with Disabilities has investigated the UK Government and made findings of grave and systemic violations. We set out below the background, legal framework, the inquiry findings and the significance of those findings. Luke Davey is a disabled adult, who had been living in his own home with almost 24 hour support for 18 years. The local authority assessed Davey as having an ‘eligible need’ to enhance his ‘independence’ by spending more time alone, and concluded that his eligible needs could be met with a reduction in his ‘personal budget’ from £1651 to £950. 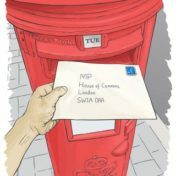 DPAC and Inclusion London’s 70 page response to the Inquiry by the United Nations Committee on the Rights of People with Disabilities and the UK Government response, detailing our serious concern at the Government’s approach. 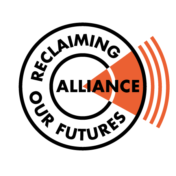 The Reclaiming Our Futures Alliance has collected lived experience evidence from thousands of Disabled people to write this report, which documents how British Government policies since 2010 have created regression against nearly every article under the UN Convention on the Rights of Persons with Disabilities (CRPD). The Chancellor is due to make his budget announcement on 8th March. 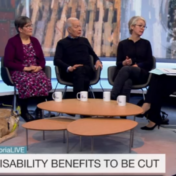 One week before, on 1st March, Disabled people, Disabled People’s Organisations and the charities are all coming together to call on him to stop this cut. 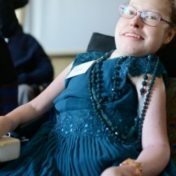 Inclusion London has responded to the open consultation for the Work, Health and Disability Green Paper. We have a number of concerns that proposals in the green paper are either misplaced and will fail to tackle the root issues central to Deaf and Disabled people’s exclusion from employment opportunities, or have the potential for adverse impacts through contributing to avoidable harm. As a result of being investigated by a United Nations committee, the government have been found guilty of grave & systematic violations of the rights of disabled people due to welfare & social care reform. The government has rejected the findings and refuses to act on the report’s 11 recommendations. 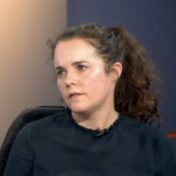 We’re proud to campaign with actor Cherylee Houston, who was on ITV Granada this week speaking about welfare reforms and their impact on Disabled people. 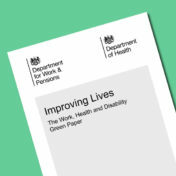 Our response to the Work and Pensions Select Committee’s new report into the disability employment gap, including the Government’s plans to cut the Employment Support Allowance for new WRAG claimants. Guest post from Fleur Perry. NHS Commissioners have authorised policies that could lead to Disabled people being permanently removed from their homes against their will. Could you help directly take on your local CCG in the courts to ensure that this never happens again?